Ad Hoc Reports allow you to pull data from 3 level types rather easily: company level data, employee level stored data, and individual payroll specific data. 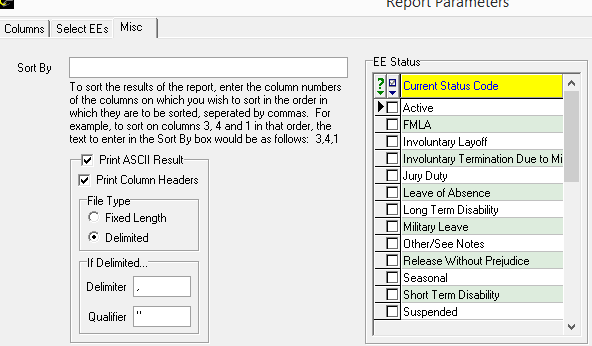 Payroll level data can give you a columnar report displaying specific earnings, deductions, taxes by employee in endless amounts of columns. Demographic data, benefit deductions, rate of pay, and other employee fields would be found at the employee level. From Reports >> Ad-Hoc Report hit the green plus at the top to add a new report. 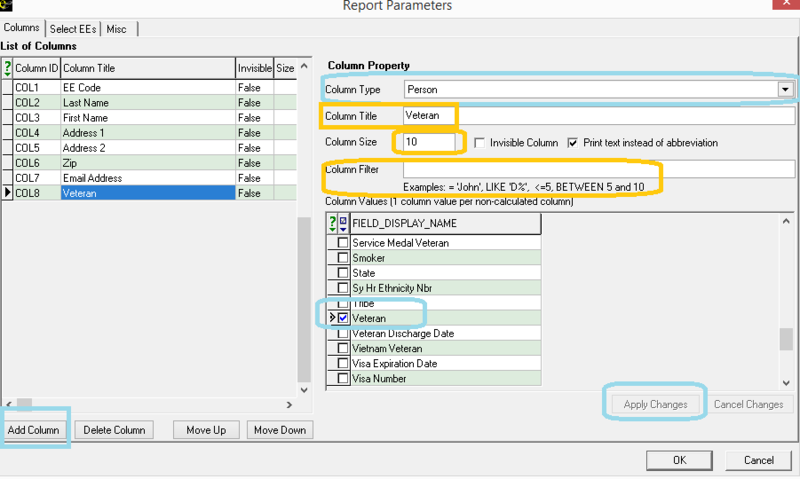 Choose the template for "Ad-Hoc Employee (S1134)"; save and then click the report parameters to configure the report. -Start by "Adding a column"
-then select the column type from a look up table. Person, Employee, Rates, Scheduled E/D's. -Select the Field Name for each column; define the data with a title, and apply your changes to the columns. -Save each column data as you edit hitting "apply changes" and then hit OK to save your work.